Consignment Motorcycle Sales in Kansas City, Missouri. The motorcycles listed on this page are for sale in the showroom at Knobtown Cycle. These bikes are available for viewing during our regular store hours Tuesday to Friday 10-6 and Saturdays from 10-4. Come in and take a look and while you are here don't forget to get a cup of Deathwish Coffee. Do you have a motorcycle to sell? Have a motorcycle you would like us to sell for you? 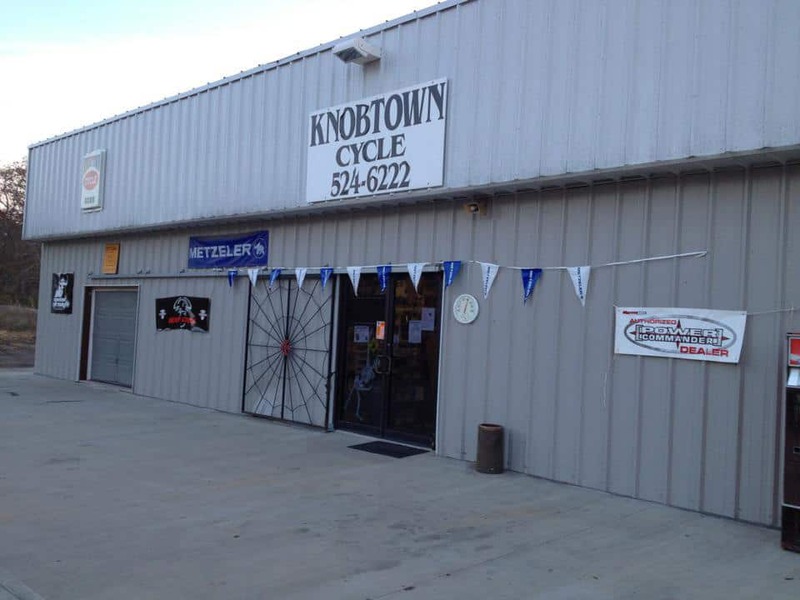 The Knobtown Cycle Consignment Program allows you to sell your motorcycle without the hassle. We will do a visual inspection of your motorcycle. You will complete a Motorcycle Consignment Agreement. We will perform a Motorcycle Consignment Inspection. You will sign a Consignment Contact and pay the listing fee. Sit back and relax as we will work to sell your bike. When and if your bike sells, cash in! How does consignment work with Knobtown Cycle LLC. work? A seller contracts with us to consign their motorcycle. Photos are taken and a complete description of the vehicle is posted on our website: www.knobtowncycle.com. Advertising is also done in other venues. Buyers come in or contact us to view the vehicle. We do all the negotiating with the buyer based on the seller’s limits. We then pay the seller the purchase price, less fees/commission. How much is your commission and what other fees do you charge? Showroom Prep, until bike is sold or contract has ended. We also advertise on several websites for maximum exposure. Will Knobtown Cycle LLC. advertise my vehicle? Every effort is made to provide maximum buyer exposure on every vehicle we consign. We can’t guarantee that your vehicle will sell, but we can guarantee that we will make every effort to make that happen. What information do you need when I consign? When you consign your vehicle to us, you will be asked about the history of the bike. Certain things, by law, must be disclosed to a buyer such as whether the vehicle is a salvage, previously a rental or law enforcement vehicle, lemon law vehicle, flood/fire/frame damaged vehicle. Having a written service history is not required, but is suggested, as it is proof that your vehicle has been well maintained. We will need to know the price you want your bike listed at and the lowest price you will accept. If the bike is currently financed, we will need the lien holder’s name and phone number. We will need to see and verify title/registration and insurance on the vehicle. What if I decide to lower the asking price? Simply fax/mail/bring us a signed letter requesting that we lower the price. If we receive this request via fax or mail, we will call you to verify the change prior to making the change. What happens when my bike sells? When your bike is purchased, we do all the paperwork necessary to transfer ownership to the buyer. When the sale is completed, we will let you know so you can cancel your insurance. You will receive the proceeds from the sale, less our commission and any repairs or fines, within 20 days of the completed sale (per DMV regulations). Most people receive their check within 10 days… the exceptions usually occur when a payoff is made to a lienholder. We have to wait until the lienholder sends us the cleared title in order to complete the sale with the DMV. We will inspect the vehicle as a buyer would – from front tire to brake light and everything in between. Although test rides are allowed with owner consent, by potential buyers. The vehicle will be taken for a test ride to verify its condition and road-worthiness. All Knobtown Cycle LLC. test riders have valid Drivers’ licenses with a Motorcycle endorsement and are insured. We will make suggestions that may improve the saleability of the vehicle (repairs/maintenance). We can suggest an asking price, but you will have the final decision. You will fill out and sign the Consignment Agreement, provide a title and please give any history, accessories, maintenance records. Photos will be taken and posted on our website along with a description of the bike. We will perform a Multi-Point Safety Inspection on your vehicle – if any problems are discovered during the inspection, we will notify you. We make every effort to get your bike posted on the website within one week of listing with us. The consignment fee is equal to 10% or $500 whichever is greater of the selling price, which will be deducted from the owner’s proceeds. It is at the discretion of Knobtown Cycle LLC. to refuse to enter into this contract if it is determined that the owner’s requested price is too high for the unit. Retail price shall de be determined by Kelley Blue Book retail value. Any price above retail shall be justified by valuable upgrades. Any offers made that would result in below owner’s asking price will be discussed with the owner before a deal is made with the potential buyer. NOTE: No outside sales allowed during the consignment period. All potential buyers must be through Knobtown Cycle LLC.. The bike may not be removed from Knobtown Cycle LLC. by the owner until the end of the contract. If the owner does remove the bike the contract is considered void as of the day the bike is removed. Cancellation of Contract: If the owner decides to cancel this contract within the two month period, the $200.00 Marketing Fee will not be refunded or pro-rated. Any repairs not previously paid for must be paid before bike is removed. Length and Term and Flooring Fees: “flooring refers to time on the showroom floor, detailing and advertising fees. The term of this contract is Two (2) consecutive months from the date contract is signed. If the unit does NOT sell by the end of the two (2) month contract term the customer will be asked to pick up the unit within three (3) working days of the last day of the contract. From the 4th day a storage fee of $50.00 per day will be incurred and payable before the unit is released. If the owner and Knobtown Cycle LLC. choose to enter into a new two (2) month contract all previous flooring fees are not-refundable. If a new contract is drawn the seller will be charged $100.00 for flooring and advertising for the new contract.